This beta, however, does not include the main GNOME-based release. Instead this is more a community release with most of the Ubuntu flavours participating. This particular test build is slightly more noteworthy than usual since, thanks to the havoc wreaked by Spectre and Meltdown, which limited the use of many distros' build systems, it is really the first milestone for most of the flavours. It also came a couple of days late, which is unusual for an Ubuntu beta. As the Xubuntu developers note: "The ISO Tracker has seen little activity for the last few development cycles. We know we have some excited users already using and testing 18.04. But without testing results being recorded anywhere, we have to assume that nobody is testing the daily images and milestones. And this has major implications for both the 18.04 release and the project as a whole." In my testing, many of these releases feel much more like daily builds than a beta. Which is to say things are somewhat rougher around the edges than what you'd usually find in an Ubuntu beta. It's still a good time to check out the various flavours, but my advice would be to stick with running these in a virtual machine. Xubuntu 18.04 is looking very interesting for unexpected reasons. Ostensibly based on Xfce, Xubuntu is nevertheless replacing quite a few stock Xfce/GNOME apps with equivalent MATE desktop apps. PDF reader Evince will be jettisoned in favour of Atril, GNOME Calculator has been replaced by MATE Calculator, and File Roller (the app that GNOME forgot) is switched out for MATE's Engrampa. I haven't been able to find any details as to why, but I'd be willing to bet it has to do with dependencies the GNOME project might decide to scrap tomorrow. Whatever the case, it makes Xubuntu a little bit different than just Xfce atop an Ubuntu package base and goes a long way to making it feel like its own thing, much like Ubuntu MATE. Since last year's 17.04 major Xfce update, there isn't too much new there. There's a sound applet and status update plugin, but by and large the Xfce of 18.04 is pretty close to what you saw in 17.10. That's to be expected since this is an LTS release. Over the past year or so I've come around to KDE, particularly its development process and objectives, which feel much more transparent and sane compared to, say, some other big, often capricious, desktop environment that seems to get the lion's share of attention. Of all the KDE-based desktops I've tested, Kubuntu stands out as one of the best. The project is great about getting the latest version of KDE tested and shipped. This release is no different, featuring Plasma 5.12 LTS and KDE Applications 17.12.2. The former will be the most noticeable part of the upgrade, bringing considerable speed improvements and using quite a bit less RAM than previous releases. It's still KDE so not the lightest desktop around, but it's a bit more svelte than it used to be. Other new features include far too much to cover in detail here, but the highlights in my testing have been a better layout for Kickoff (KDE's app menu) and Night Color, which adjusts the screen colour temperature to reduce eye strain at night. That's a Wayland-only feature, but a very welcome one since Wayland breaks most third-party apps that do this in Xorg. Plasma 5.12 also fixes one of my big problems with KDE on Wayland: there's now a fullscreen option for Wayland windows. It's not new, but KDE's Global Menu feature – which reduces all of a window's menu clutter to a single button – is well worth checking out, especially if you're missing the (albeit somewhat different) global menus of Ubuntu's Unity interface. 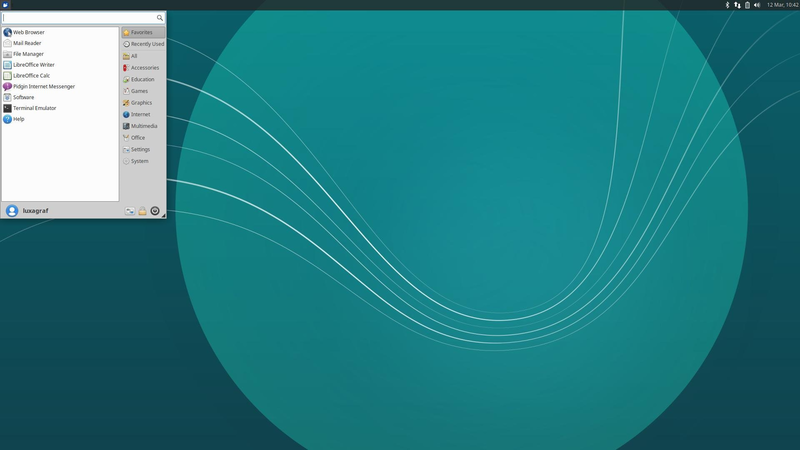 This release brings the new MATE 1.20 desktop, which is most notable for solving what has long been MATE's biggest failing – the lack of HiDPI support. That's now largely a thing of the past. MATE Desktop 1.20 supports HiDPI displays with dynamic detection and scaling. HiDPI hints for Qt apps are also in this release so if you use any Qt apps they won't look out of place (or they won't be blurry anyway). MATE's Marco window manager gets a few new tricks, including quadrant window tiling, and there are some new shortcut keys to navigate the Alt + Tab switcher. Here's one to make Unity refugees happy: MATE's Global Menu integration has received a lot of polish and at this point works as well as Unity's ever did. When the Global Menu is added to a panel the application menus are automatically removed from the application window and only presented globally. Previously getting that working properly took some additional configuration work. Remove the Global Menu from the panel and MATE will automatically restore menus to their application windows. MATE's HUD mirrors Unity's and holding Alt won't trigger the HUD anymore. The HUD is also HiDPI aware now. 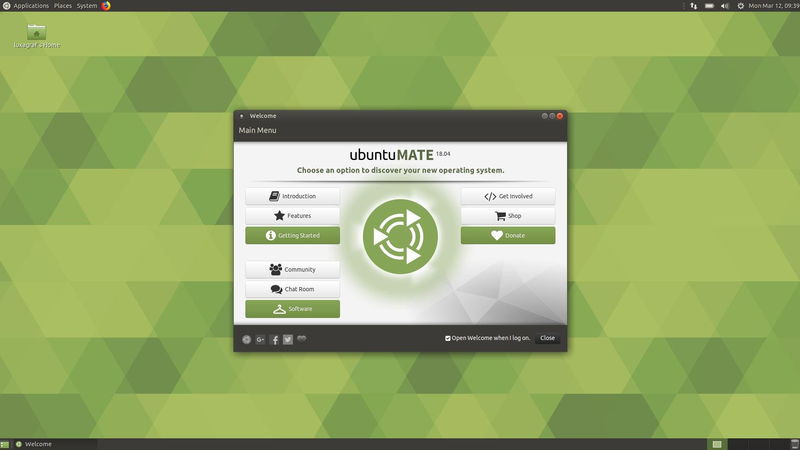 MATE has also already adopted a feature coming to the mainline Ubuntu release, namely a Minimal Install option. Not to be confused with Ubuntu Minimal, which is an entirely separate download, the Minimal Install option refers mainly to whether or not you want all the third-party bells and whistles. In the case of MATE you'll get the MATE Desktop, its utilities, its themes and Firefox. Everything else – email client, video player, office suite, etc – is left to the user. It's a handy option for those whose favourite default apps are different than the distro's defaults, but at the same time don't want to build their entire desktop from scratch as you'd have to do with the Minimal CD. Ubuntu Budgie is a relative newcomer, but has already turned out several very nice releases. 18.04 is no exception. Based on the Budgie desktop, created by the developers of Solus Linux, Budgie is a bit more lightweight than KDE or GNOME, but has a more "modern" design than say Xfce. It nicely straddles the middle ground between GNOME bloat and Xfce traditionalism. At the moment Budgie is based on GTK3 and, as such, looks somewhat like GNOME, but Budgie's roadmap calls for the project to drop GTK and move to Qt as some point. That has been my sticking point with Budgie up to this point – I just don't see a low-level toolkit change like that being smooth. But, I must say, using this beta convinced me that I liked Budgie enough to overlook its potentially tumultuous future. Among the new features in 18.04 are a new GTK theme with about a dozen new desktop applets available, much improved keyboards shortcuts and MP3 support out-of-the-box. Like the rest of the Ubuntu family, there's a new minimal install option, which is a godsend since the default Budgie apps and I do not get along. This release is also notable for what I think is the best use of a Snap app I've seen yet. 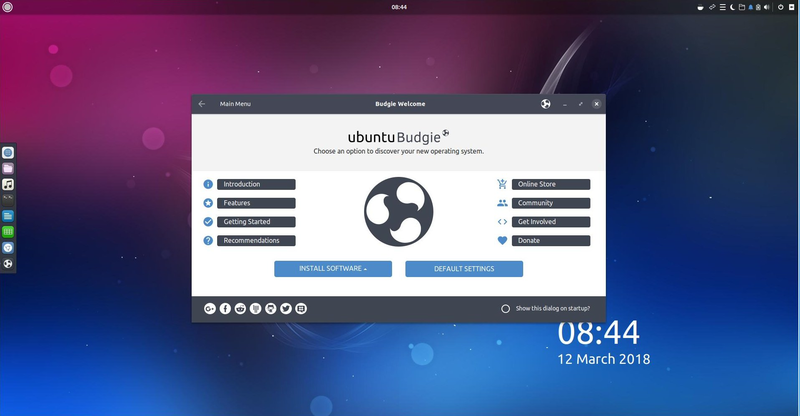 The Budgie Welcome app, the little window that launches when you first start the desktop, is a pre-installed Snap app. That way the developers can keep it up to date, change or add links within its interface and push those out over the course of the LTS release cycle. While Lubuntu generally participates in the first beta release, as of the time of writing they haven't released anything. The Lubuntu Next project has likewise not released anything for the beta. If you're curious, you can head over to the daily builds page and try one of those, but in the case of Lubuntu Next, which is based on the very much work-in-progress LXQt desktop, those daily builds will likely be quite buggy.